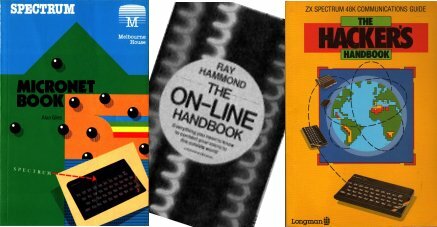 The most comprehensive general introduction to getting your computer communicating with the outside world has to be Ray Hammond’s On-Line Handbook, published by Fontana at £4.95. Mr Hammond starts off by outlining the benefits of linking your computer up with the outside world and then goes on to explain how to go about achieving the link up. As a guide to selecting your communications software and modem and connecting up to the phone line, his book provides an excellent starting point for the communications novice. It will also act as a handy reference guide to the services available once you’re linked up and ready to go. The book is not machine specific and the first section gives an excellent overview of communications hardware and software, and sets out to explain how communication with other computers is effected without burying the reader in unintelligible technical jargon. In this aim it should succeed with even the most computer illiterate person, and have him or her well on the way to getting on-line. The remainder of the book is effectively a comprehensive directory of the bulletin boards and on-line databases available in the UK and overseas and it contains a wealth of valuable information that even the most experienced modem user should want to keep on hand. The Hacker’s Handbook written by Geof Wheelwright and Ian Scales and published by Longman is a machine specific guide to getting on-line. Available for the Spectrum, Commodore 64 or BBC user, this particular Hacker’s Handbook shares its title with a slightly more exciting publication (not to be confused these two). Although one shouldn’t judge a book by the number of pages it contains, this handbook is less than half as thick as Ray Hammond’s contribution to the pool of communications knowledge and does smack rather of the quick cash-in book. For the Spectrum user, it offers more specific advice than the On-Line Handbook and as such it would be useful to the total novice. The authors do provide a sound overview of the equipment and services available, and are honest in their opinions. Their book is an undemanding, short and sweet introduction to the world of communications. Alan Giles’ Spectrum Micronet Book, published by Melbourne House for £6.95 has to be the definitive work on the VTX500 modem and Prestel. It is more of a technical manual than a readable introduction to on-line communications with a Spectrum, however. It’s an odd sort of book — annoyingly all the zeros have a slash through them, just like someone thought a proper computer book should have. And it has to win the ‘Gumbo Fatgut Daftest Proofreading Error of the Decade’ award for the boo-boo that crops up on page 6. Page 6 contains four diagrams, and across the top of the page a message to the book printer’s art department appears: ‘ART DELETE THE WORDS (side view) IN TOP HEADING’. Art read this message, deleted the words ‘side view’, which duly didn’t appear in the top heading, and then left the message asking for the deletion on the page. Tee Hee — how silly! Despite its title, The Micronet Book isn’t really all about Micronet, and if you bought it under the impression it would explain from scratch what Micronet is all about you might be a little disappointed. As the definitive guide to the possibilities of the VTX5000 modem, however, it can’t be beaten in terms of technical content. Not really for beginners, but ideal for anyone who wants to get into their VTX5000, understand it and its relationship with Prestel fully, and alter the way it ticks.